Cold mix asphalt, based on bitumen emulsion, consists of bitumen and water. This emulsion is a liquid a room temperature and does not require heating for blending, a delicate process to make emulsion stable and prevent it from breaking apart into water and bitumen until it is applied to the road surface. Cold mix bitumen equipment allows many different combinations of aggregate to be blended very well before a spray bar supplies the binder. Soft folding then facilitates adequate coating of mineral material by the emulsion without the emulsion separation. The material can be used in binder layers, surface coating and patch repairs for all roads except the roads with the heaviest traffic. 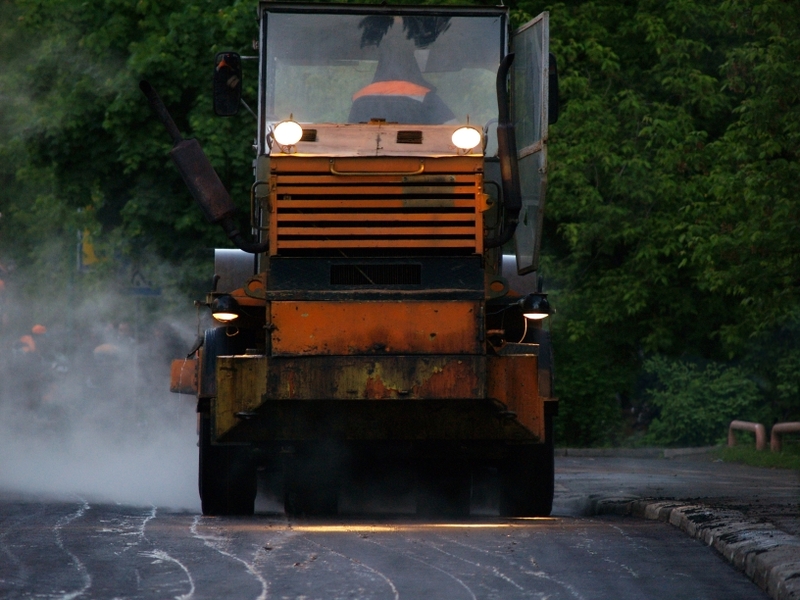 Asphalt mix is applied just like regular hot asphalt, directly by a paving machine; however, the rolling afterwards is especially important to the way the emulsion works. The specially formulated cold mix, containing special components, is compacted by a combination of vibration machines and tire rollers. The vibration and the rolling causes the emulsion to break down, releasing the water and keeping the bitumen in place. A normal layer asphalt mix can be open for traffic nearly instantly after application. Still, the mix gains strength over time. After application it looks and performs differently than hot mix, which is one of the reasons the method is not used as widely as it could be. Asphalt mix is often assesses by methods appropriate for hot mixes, but lacking for evaluation of cold mix asphalt. Typical parameters used for such evaluation are strength and void content, which both fail at being a primary measure of cold mix performance. Experts are now at work solving this problem by combining cold mix formulations and a system of evaluation to make basis for specification in the future. Another problem which prevents widespread use of cold mix is purely economic. Many contractors have financial interest in hot mix industry, and they want to maximize the profits, making it difficult to consider cold mix. Switching from hot to asphalt mix significantly decreases both energy consumption and CO2 emissions, as the quantity of energy for material heating in cold mix is insignificant compared to that of the hot mix. It normally takes only 0.1 liters of fuel for production of one ton of cold mix, compared to a whopping 10 to 14 liters typically required for the same amount of hot mix asphalt. There is one more factor to bolster the transition to cold asphalt mix, and that is the environment. There is a growing need to use recycled asphalt pavements (RAP), which can be well achieved using bitumen emulsion. Cold mix based on bitumen emulsion is a good way to use much higher content of RAP in the mix than is possible with hot mix. Asphalt mix binder layer can be prepared using solely RAP. Emulsions have the ability to also coat pavements contaminated by tar.